The Volkswagen (VW) Passat came fitted with many different types of ABS pumps, from ATE modules to Bosch and TRW modules. 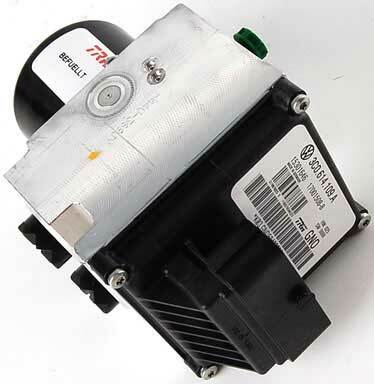 This particular TRW ABS / ESP Pump module has been found fitted to some variants of the Volkswagen (VW) Passat in models from 2006 – 2007. This type of ABS / ESP Pump ECU is a common failing part and can fail with many symptoms including loss of communication and speedo not working. Below are some of the most common symptoms associated with a failed ABS ECU Controller. Most common found part number on this type of unit is 3C0 614 109 ABEF which supersedes the earlier unit with part number 3C0 614 517 SBEF. When this unit has failed, most dealers and workshops are not aware that it can be repaired and would normally suggest a replacement part which will be much more expensive. A new replacement ABS / ESP pump module comes with a limited 12 month warranty, is very expensive and will require programming to the vehicle. Used second-hand parts are generally quite cheap but are not advised because they come with a very limited 30-90 day warranty, will require re-programming at an additional cost and there’s no way of knowing how much life the unit will have left or how well it’s been maintained. 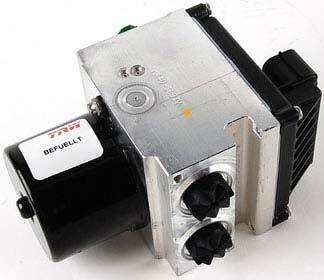 We offer a fast, efficient and affordable ABS pump repair service. We’re able to fully test + rebuild the ABS module and use new genuine OEM components when remanufacturing the ABS module to ensure that each and every ABS pump rebuild meets & exceeds OE specifications. All of our repaired ABS units come with a Lifetime warranty and will not require any programming when refitting back to the vehicle. If you have a Volkswagen (VW) Passat with a suspected ABS pump fault then get in touch with us today by calling 0844 847 9999. Tags : 15301646, 17001508-B, 3C0-614-109-A-BEF, 3C0-614-517-S-BEF, 3C0.614.109.A, 3C0.614.517.S, 3C0614109A BEF, 3C0614109ABEF, 3C0614109SBEF, 3C0614517S BEF, HC93003155DEK, Volkswagen Passat ABS Pump Faults, VW Passat ABS / ESP Module Repairs, VW Passat ABS ECU Testing. Im from Brazil, ive got a 2007 Variant Passat and the ABS pump 3c0614109abef is not working properly, do you think that would be possible for me to send for you guys And get it fixed for a aceptable price?? I am from Brazil. 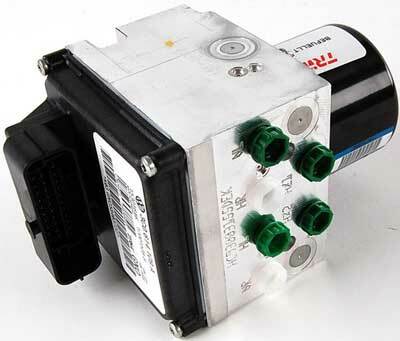 The ABS unit 3C0.614.109A of my Passat Variant 2007 is presenting a Pressure Sensor Fault . The brake lights remains on while the car key is on. Is reasonable send it from here to you for fixing? If yes, can you send me the conditions of this process? 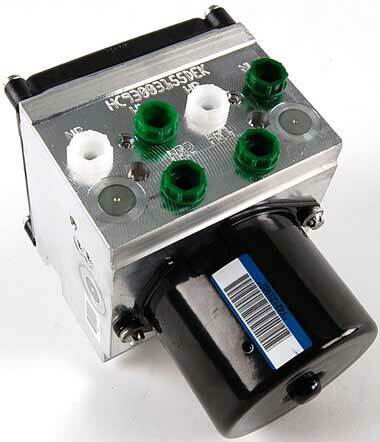 The brake pressure sensor fault is one of the most common faults we see across a wide variety of vehicles and we are receiving units from all over the world to remanufacture and return. I have sent you an email with full information and pricing. If you have any further questions, please reply to the email and we’ll be happy to assist you.